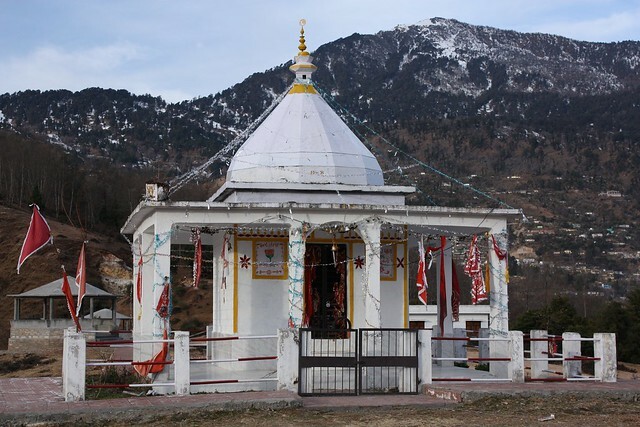 Renowned for being “one among 55 Shakti Peetha Temples” is a Hindu shrine in Uttarakhand known as Mathiyana Devi Mandir. This “Devi” mandir is located in the Rudraprayag district in close proximity to a village called Silgoan. According to Hindu mythology it was at the site on which this temple currently stands that a body part of Goddess Sati (wife of Lord Shiva) is supposed to have fallen while Shiva was carrying her burnt body across the earth in anger. Additionally, this temple attracts thousands of devotees annually, and is said to represent “devotion” and “faith”. There are two routes from New Delhi to this temple, and they are via NH334 and NH7 and via NH9. There are two routes from Haridwar to this temple, and they are via NH7 and via NH34 and NH7. There are two routes from Rishikesh to this temple, and they are via NH7 and via NH34 and NH7. There are two routes from Gurugram to this temple, and they are via NH334 and NH7 and via NH9. There are two routes from Dehradun to this temple, and they are via NH7 and via Chamba-Mussorie. According to popular folklore King Daksha, the father Goddess Sati did not invite Lord Shiva his son-in-law for a yagna. The fact that her husband was snubbed enraged Goddess Sati, and in response she committed suicide in the very same fire the yagna was performed in. This angered Lord Shiva who carried his wife’s burnt corpse around the earth. It is then while carrying, that the body parts fell upon various spots on earth. Apparently, a part of Sati’s body fell at the site on which this temple has been built, and hence it is considered to be a part of the “Sidh Peethas”.